3 Bedrooms | 3 Full Bathrooms | 2,196 Living SqFt. Built in 2015, this outstanding Sanibel home offers abundant natural light with views of a private lake and lush landscaping. The half-acre square lot is located in a quiet neighborhood off of West Gulf Drive with deeded beach access just a 5-minute walk away. Enter in the living room from the front door or the private elevator, which connects to the downstairs garage/workshop for easy access between levels. The spacious living room has a full wall of sliders that disappear for complete access to the screen-enclosed upper balcony overlooking the pool and lake. The custom kitchen features one-of-a-kind hand-blown glass lights with marble like granite counter tops and gorgeous maple cabinets. Easily set the dining room table from the kitchen, or choose to eat out on the connecting lanai. The split floor plan includes 3 large bedrooms and 3 full baths, all with plantation shutters and wood floors. 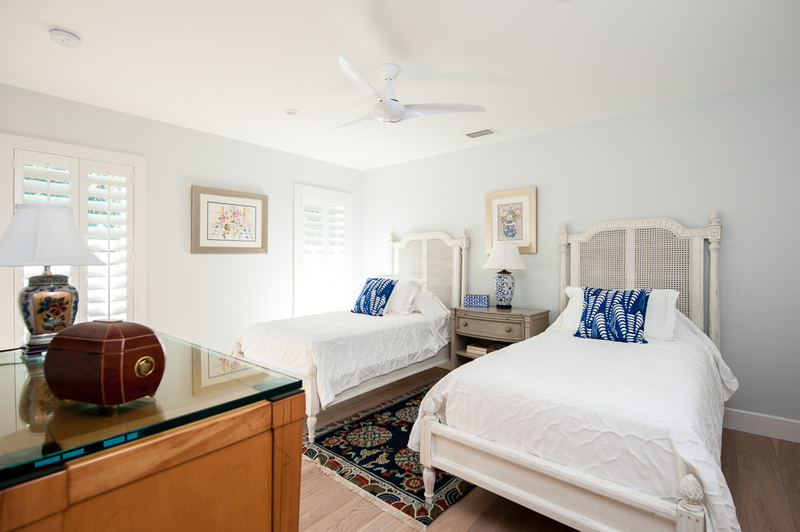 Retreat to the master suite directly from the outdoor balcony after watching the sunset on another sunny Sanibel day. Host family and friends for the holidays and annual beach vacations! The spacious guest rooms both include their own full bathrooms, with beautiful finishings such blue granite countertops and a clean, contemporary design. Why eat out, when you can sit poolside or out on the upper balcony to wine and dine with your friends. Lay out on the pool deck and enjoy a glass of sweet tea. Then watch the sunset over the lake before the day's end. In just five minutes you can have your toes in the white sandy beaches of Sanibel. Enjoy the uncrowded beaches of West Gulf Drive, and the beauty of the Gulf of Mexico.